Changes to the Private Health Funds - Download your flyer now! 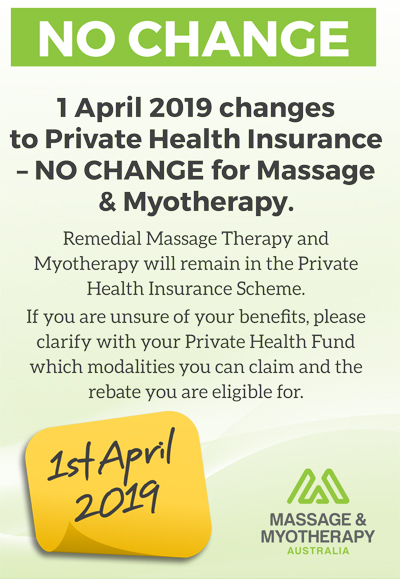 Ensure your clients aren't confused by the changes to the Private Health Funds and claiming a rebate for Massage & Myotherapy. Massage & Myotherapy Australia has created an easy to read and comprehend A5 flyer, for you to handout or display in your clinic. Click the image below to download your copy.